I used to despise cauliflower with a passion. I couldn’t even stand the smell of cauliflower cooking on the stove and there was no way I was eating any. The sad part was that I didn’t even try it. I was so picky growing up that I missed out on so many delicious foods, including cauliflower. I didn’t actually give cauliflower a try until I was in my mid-20s. I’m still not crazy about the smell, but I love the taste! I can eat them raw with some dip, cooked with a mild cheese sauce or mixed in a recipe. I’ve even made pizza crust out of cauliflower! 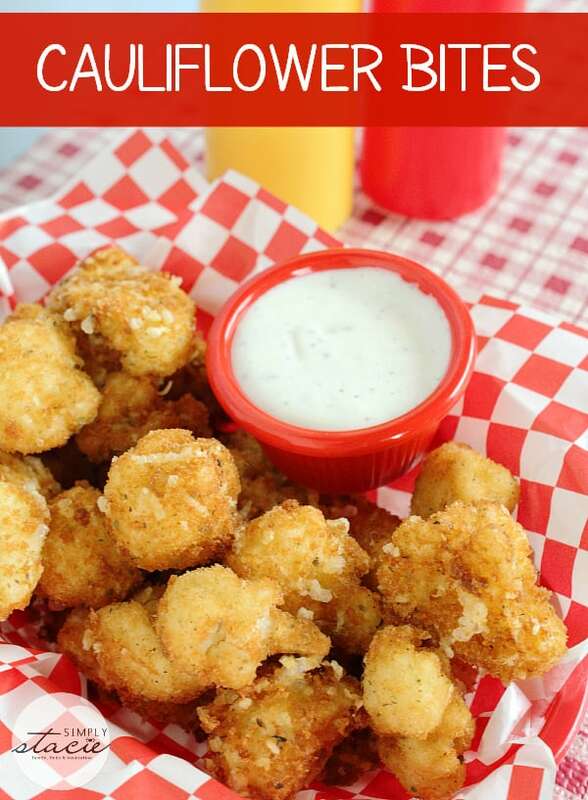 Another delicious way to enjoy cauliflower is in this appetizer recipe for Cauliflower Bites! It may not be the healthiest of ways to eat cauliflower, but it sure tastes good! Add a small dish of ranch sauce for dipping and you have a yummy starter that reminds me a little of something you’d eat at a restaurant. I bet if I’d tried this recipe as a young girl it would have changed my view of cauliflower and I wouldn’t have missed out on eating it all those years. So yummy and addicting! Bet you can’t eat just one. In a medium sauce pan heat 1½ – 2 inches of oil to 350 ̊. You’ll need three shallow bowls or resealable containers. Put the flour in the first one. In the second one, beat the eggs. In the third bowl, stir the Panko bread crumbs, Romano cheese, Italian seasoning, salt, garlic powder and black pepper. Take the Cauliflower and place it in the first bowl. Toss to coat, or put the lid on and shake. Working in batches tap the excess flour off the Cauliflower and dip it in the egg.Then place in the Panko Crumbs. Toss to coat or again put the lid on and shake. Remove to a plate and repeat. When the oil is at 350 ̊ start frying in batches. It’s easier if you divide your pieces into large, medium and small. Place a few large pieces in, then a few medium and you guessed it then a few small pieces. Once the small pieces are in cook for 60 seconds. Remove to paper towel lined plate. Repeat with remaining cauliflower, serve hot. I will email you the recipe! These look great- definitely pinning. I love cauliflower. Found your blog on the It’s Party Time link party and started following on Google +. Maybe I am missing something, but I can’t see where the Romano cheese mentioned in the ingredients are used? WOW. These sound so good! I actually do like cauliflower so I’m sure I would LOVE these. These sound amazing! I like to try different ways to try my vegetables! Thanks for sharing at Happiness is Homemade Link Party,, Come back on Sunday cause you are being featured!! I am generally a fan of cauliflowers. This recipe sounds delicious. 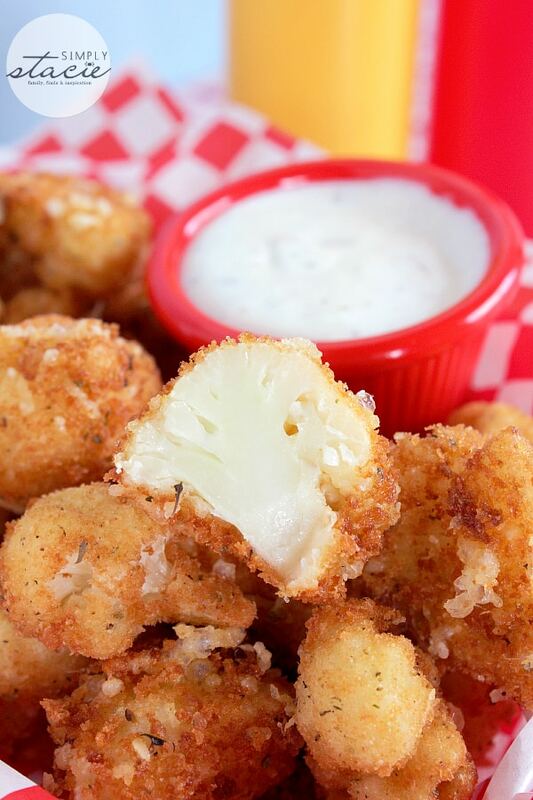 I am in love with these cauliflower bites and am going to make these as a side dish. They look really delicious and I know my family would love these. Sounds like such a healthy snack would definitely make this for sure !! These are going to be a refreshing new appetizer in our house.We all love cauliflower and thank you for postng this recipe. nice, never tried this before, but it sounds really good! 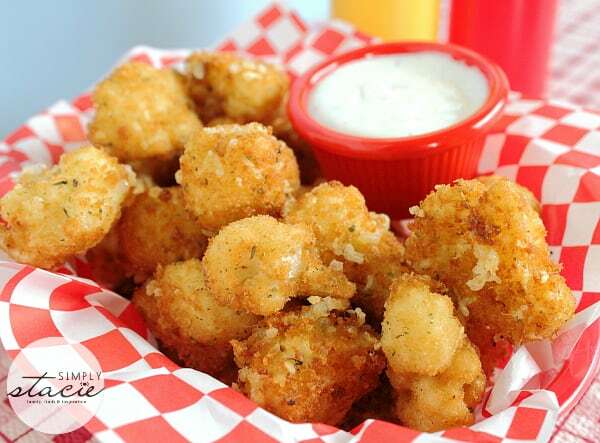 Fried cauliflower is a regional favorite served in nearly all restaurants in western Michigan as an appetizer. It is frequently served with a cheddar cheese dip, though the quality and flavor of the dip can vary from restaurant to restaurant. I never understood why this delightful dish was not popular from coast to coast. 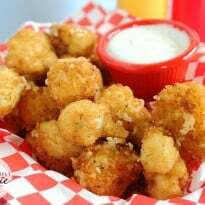 This cauliflower bites look delicious, I’m definitely going to try them soon! This recipe sounds and looks like a keeper! I made this recipe and it turned out great, my family LOVED it, thx so much! Hi Stacie! Stopping by after seeing these yummy nuggets of cauliflower goodness at Bakerette’s NYE round-up. I heart cauliflower but also am not fond of the smell while cooking – same goes for broccoli. But boy, do I love eating both – and now I have a new way to enjoy my cauliflower. Thanks for sharing and Happy New Year! These bites sound delicious. I too have had a love/hate relationship with cauliflower. It seems to be used in so many recipes these days. I want to thank you once again for a fabulous recipe, of which I am making at 3 pm tomorrow. You are wonderful. These sound so wonderful. I can’t wait to try them.